Built back in 2002, the MidCity Lofts building in Midtown Atlanta is one of the city’s newer loft buildings, making it the perfect place for loft-seekers who might also prefer more of an modern and updated living space. Like many condos and lofts in Uptown, the primary advantage to calling MidCity Lofts home is the building’s awesome location, which puts residents just steps from all kinds of shopping, dining, entertainment, and cultural attractions. And because MidCity Lofts stands 10 stories high and features 133 individual residences, chances are there are more than a few options and opportunities to consider when browsing what’s currently on the market here! 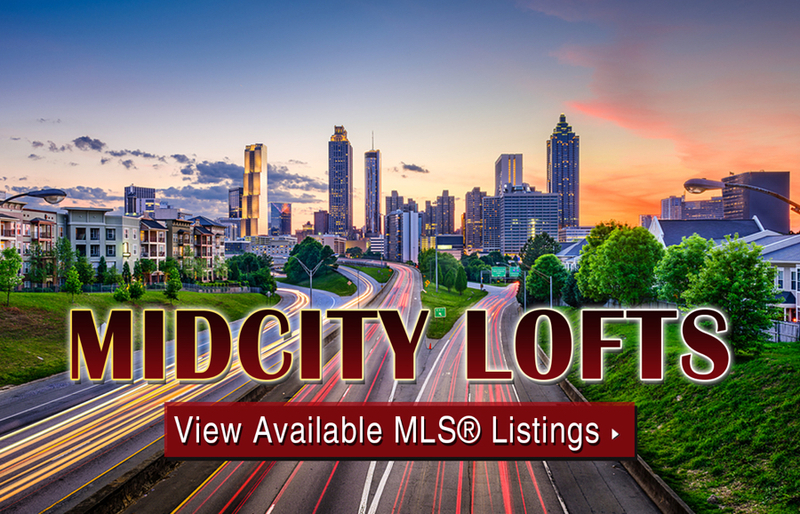 If you’d like more information about MidCity Lofts for sale in Atlanta, call us today at (404) 564-7272, or click below to start browsing active listings at this amazing Midtown condo development. Can’t find what you’re looking for at Midcity Lofts? Start browsing other Midtown real estate for sale or give the Zac Team a call at (404) 564-7272 for help with your new home or condo search today!